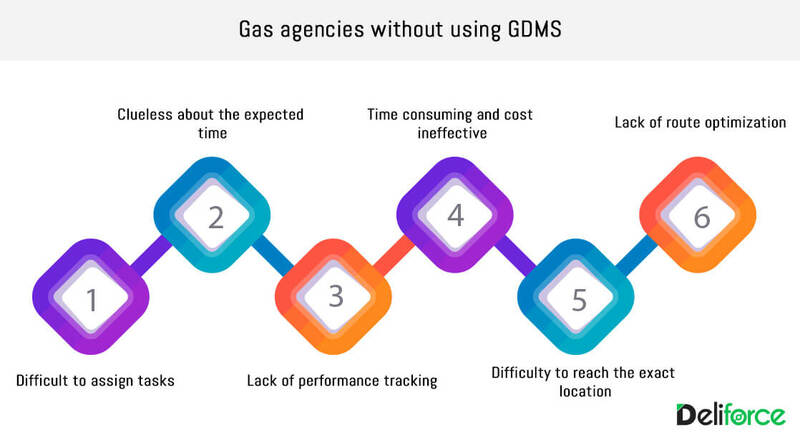 A Gas delivery management software (GDMS) is a fully integrated Gas cylinder delivery tracking and management solution, that is designed to track and manage entire Cylinder delivery fleet including the logistics and delivery agents. It acts as a Logistics Tracking Software for gas cylinder delivery agents, helping to track down the delivery till the last mile. It is very difficult to assign tasks to all Delivery agents at a time, since the number is huge. Customers remain clueless about the expected time of gas cylinder delivery. It is impossible to identify which agents are performing well and who are not, with thousands of agents listed under one agency. It is time consuming and cost ineffective to retrieve older records manually, since most of it is not preserved. Deliver agents often face difficulty to reach the exact location of the customer, due to lack of proper route guidance. Failed or delayed delivery are common due to factors such as lack of route optimization, affecting the overall performance negatively. The agencies fail to collect task information of all the delivery agents at the end of each day. It is very difficult for the admin to manage duplicate records or prevent any fraudulent activity. Retrieval of information such as number of gas cylinders delivered to particular customers is impossible. It is difficult to get customer reviews and service ratings. The admin or manager remains clueless and has to trust the word of mouth of the delivery boys, regarding the failed or delayed deliveries. Delivery agents often sell the gas cylinders to random people, for higher amount of money, yet marking it as delivered for the authentic customers. Managers or admins remain uninformed of failed delivery to genuine customers, until complaints are lodged. These are only few of the issues that gas delivery agencies and their customers face everyday. 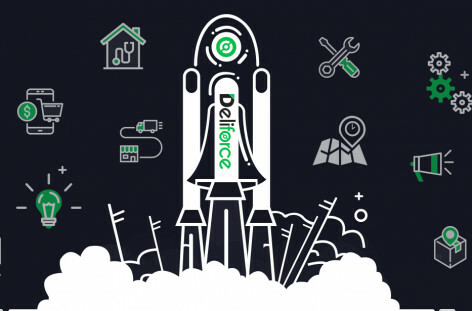 Deliforce, the ultimate Last mile Delivery tracking software offers a wide range of benefits, eliminating all the above mentioned issues. Assign tasks in bulk to all delivery agents together, at remote locations. Real time tracking for easily locating and tracking all delivery agents. Quick updates of all missing cylinders and agents who handled it last. Get electronic proof of delivery customer’s e-signatures to mitigate delivery of gas cylinders to imposters. This reduces selling of the gas cylinders for higher prices to fraudulent people, by 100%. Complete record of payments and return of cylinders of all customers. Using the Delivery boy tracking software, Deliforce the cost and time of Gas agencies are reduced by 88%. 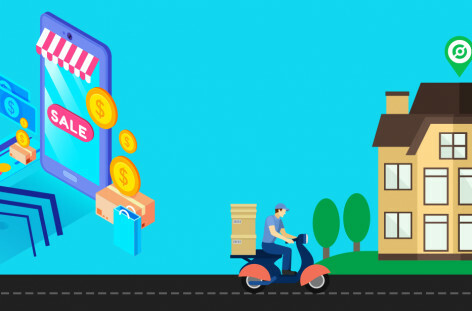 Smart route optimization helps in reaching the exact location of the customers, thus increasing the number of successful and on time deliveries by 73%. Agencies can track the idle time the delivery agents spend time in a particular location, thus eliminating chances of intentional delay. This enhances the overall performances by 81%. 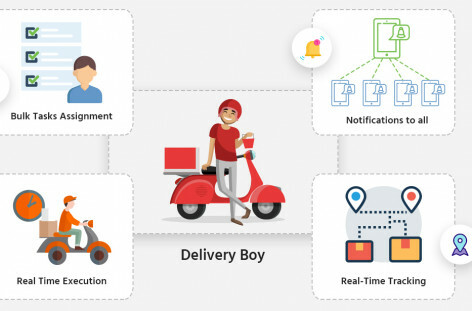 Performances of the delivery agents can be tracked from the records of successful, delayed and failed deliveries over any period of time. Digitally maintained records of Gas agents with serial number, systematically, offers transparency in business. Agencies get a complete statistics of the number of cylinder successfully delivered and how many cylinders are not delivered. Increase your revenues by avoiding situations where cylinders and agents sits idle at customer sites. 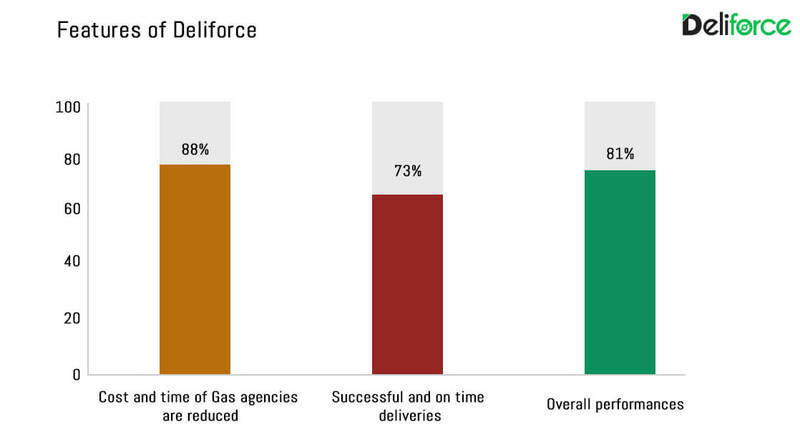 Deliforce is indeed the ultimate Field Service managegemet software that improves your Gas Agency delivery performance drastically and helps to track each of your agents’ accurately in real time.